New Caledonia is the third largest island in the Pacific, after New Zealand and Papua New Guinea. This island was discovered by James Cook, the British explorer, who named it New Caledonia. The name came to him because of similarities in terrain between his native Scotland and this newly discovered territory. What separates New Caledonia from other Pacific islands is a remarkable diversity in landscapes. Grande Terre separates the island in two coasts with very different characteristics. The capital of New Caledonia is Noumea and the official currency here is the Pacific franc. The official language is French, but you can also hear English, Japanese and thirty different Malaysian dialects. For those who love sports, New Caledonia is a dream destination. Warm waters of the lagoon are perfect for diving. Sea fishing or freshwater fishing is very popular among tourists. Sailing, water sports, and other activities are also available. There is one of the world’s largest lagoons that offers various sports. Apart from water activities, New Caledonia has plenty to offer to nature lovers. Hiking, walking, horseback riding and golfing are just some of the choices one has in this magical country. The Kanak Culture and heritage are appealing to those who strive for a different kind of tourism. Kanak culture is tribal and guided by elders, there is no personal possession and the land belongs to everyone. Native tribes mostly grow yam and the pace of everyday life is dictated by cultivating farmland. The cultural expression of Kanak people mainly takes form in wood carving. Totem poles, masks, doorposts and wooden sculptures are as much the part of the history as they are incorporated in modern art. Apart from the native culture, there is also the history of other nations that had been living here for centuries. There is a sense of mixed identity in every corner of Noumea. The capital, Noumea, is a modern city, sometimes referred to as the “French Riviera“ of the Pacific. By day there are a couple of museums you can visit: Museum of New Caledonia, Museum of Maritime History, The aquarium of lagoons and The Tjibaou Cultural Center. You can also visit Chinatown or the Latin Quarter. By night there are numerous bars and nightclubs situated near endless beaches. When at a destination like this one, you can expect gastronomic bliss. New Caledonia is a mix of French, Asian and Oceanic cuisine. 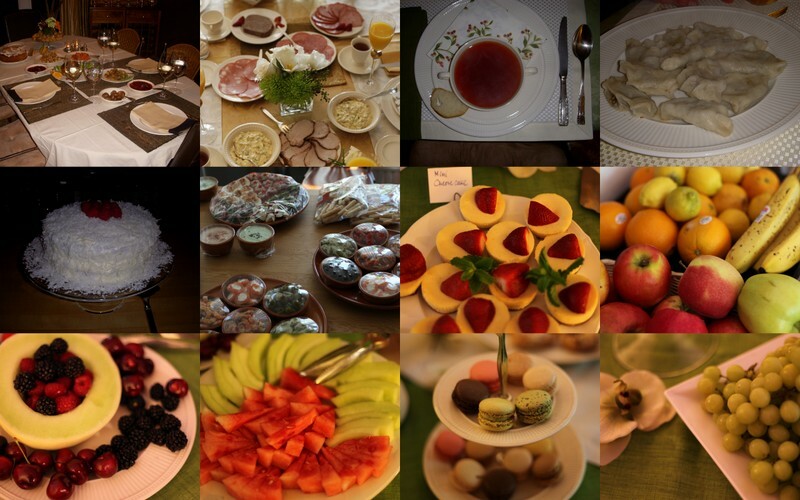 French cuisine is represented by regional specialties from Alsace, Brittany, Normandy and more. The Asian influence on the cuisine is mostly from Indonesia, Vietnam, and China. The traditional Kanak dish – Bougna – is a specialty made with fish or shellfish, marinated in coconut milk and simmered in banana leaves. This dish also consists of sweet potatoes, yams, and sometimes candlenut worms. New Caledonia has a vast variety of accommodations that range from five-star hotels, cottages, farms etc. There are accommodations to suit every kind of visitor. The bungalows in crystal lagoon waters are definitely suitable for those who love nature. For tourists leaning more to cultural and traditional experience, there are Melanesian farms. However, the most options for accommodations are in Noumea where we found some really affordable New Caledonia deals. In recent years one can find serviced apartments by the sea, not very far from the center of Noumea. The bays are the feature of Noumea’s coastline, and most of the hotels are situated there. There are different types of hotels, with or without swimming pools and restaurants, which means that everyone will find something to enjoy. 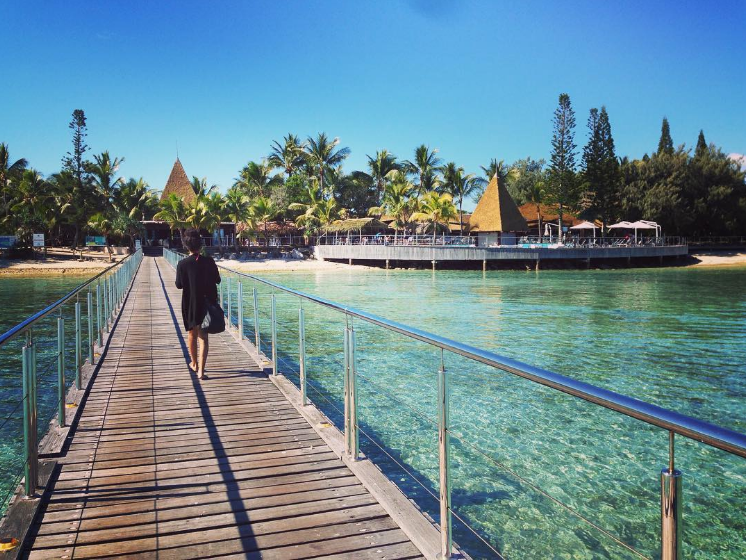 New Caledonia is definitely a fresh and truly exciting destination to visit. With these 6 reasons we gave you, it would be a shame to miss it. Author Bio: Roxana is a travel enthusiast and lifestyle consultant from Sydney and she loves to write about her adventures. She is all about the healthy lifestyle, loves to run with her husband and dogs and has fun cooking exotic meals for her family. Being a typical Aussie, she often hits the waves and loves beaches and sunshine! You can find out more about her writing and follow her on Twitter.